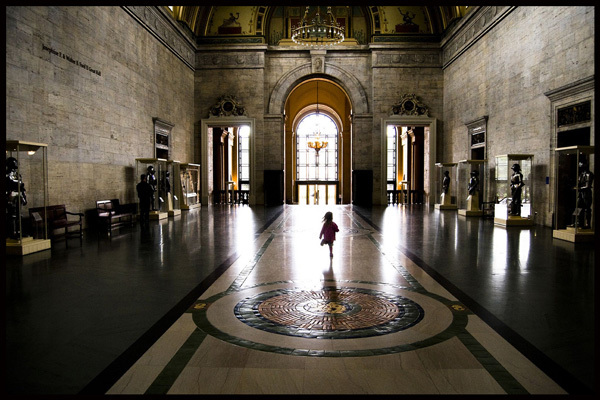 She's running through the main hall at the Detroit Institute of Arts. A couple months ago I let my membership to the museum lapse so we've been going on Fridays (when city residents get in free) but I just won a membership in a photo contest so we've been going on other days when the museum isn't as busy. I try to keep her quiet and respectful for the most part but when there is hardly anyone around I let her chase down echoes.